Luis Moreno-Ocampo said no-one had the right to massacre civilians. Thousands of people are thought to have died after security forces targeted protesters in unrest which began in mid-February. Col Gaddafi vowed to fight on despite losing control of much of the country. Earlier on Thursday, his forces launched air strikes on the oil town of Brega, sources in the town said. It came a day after 14 people died in clashes between rebels and government troops in the town. This is the front line in a strange, desultory war. A checkpoint has been set up in the desert seven miles (11km) beyond the little town of Agayla and manned by no more than a couple of dozen lightly armed rebel soldiers. But there's no doubt that the drivers who are coming through are scared of the wide open roads here. Beyond us, a good 50 miles to the west, lies the much bigger town of Ras Lanouf, with a port, an airfield and an oil refinery. This is where Col Gaddafi's troops were driven back to after the battle at Brega. If the rebels were a trained army - but they aren't - they would probably want to press their advantage and attack Ras Lanouf. The line of command is very vague and when we were in Brega earlier this morning, the colonel there was mostly concerned with rescuing two prisoners, supposedly mercenaries, from being lynched by his own men. US President Barack Obama again called on Col Gaddafi to quit, telling a White House news conference: "The violence must stop. Muammar Gaddafi has lost the legitimacy to lead and he must leave." The president also announced he has authorised the use of US military aircraft to help repatriate the tens of thousands of migrant workers who have fled Libya. Mr Moreno-Ocampo said Col Gaddafi, his inner circle and some of his sons with de facto authority would be investigated by the International Criminal Court (ICC). "During the coming weeks, the office will investigate who are the most responsible for the most serious incidents, for the most serious crimes committed in Libya," he said. But the prosecutor also said the opposition would be investigated if it had committed crimes. 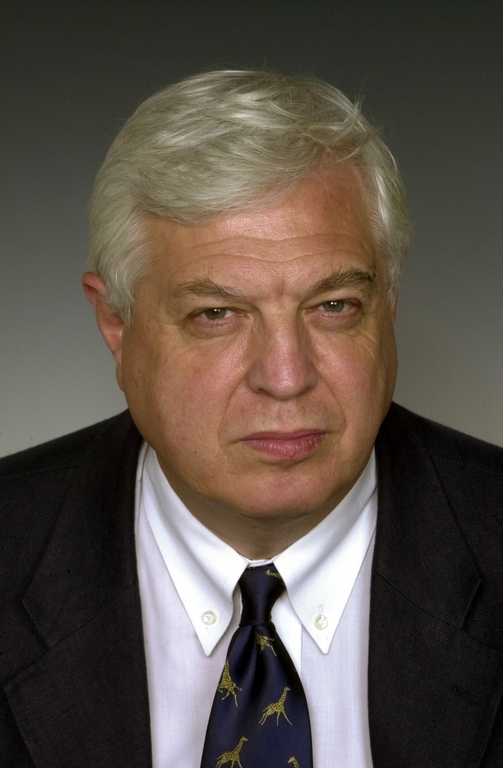 The BBC's Matthew Price, at the ICC in The Hague, says Mr Moreno-Ocampo's office has identified at least nine incidents that could constitute crimes against humanity. Media captionLuis Moreno-Ocampo: "We cannot confirm the bombing of civilians by planes"
The most serious claim is that 257 people were killed by the authorities in the eastern city of Benghazi, between 15 and 20 February. Another 26 people were allegedly killed in three other towns in the region. 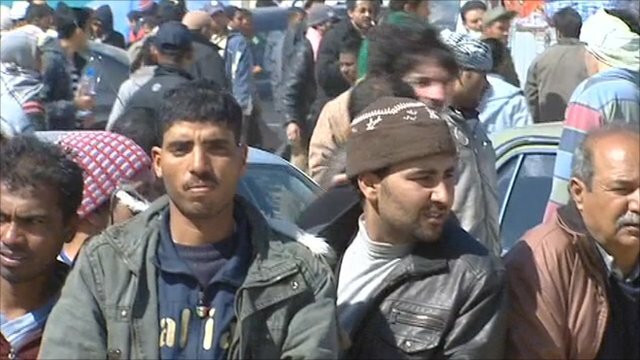 In the town of Misrata, 14 protesters are said to have been killed by the security forces. Illegal detention is also being investigated. Our correspondent says up to 15 people could face charges, including Col Gaddafi, members of his inner circle and the heads of the various security and military organisations. 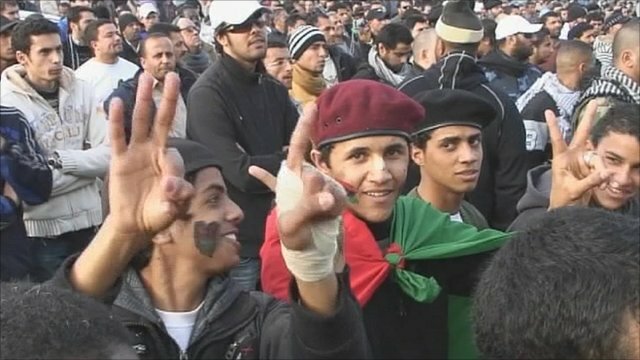 Libyan government spokesman Moussa Ibrahim told the BBC the case was "close to a joke", built purely on media reports. One of Col Gaddafi's sons, Saif al-Islam, meanwhile defended the raids on Brega. "First of all the bombs [were] just to frighten them [rebels] to go away," he told Sky News in an interview in his car. "Not to kill them. "I'm talking about the harbour and the oil refinery there. Nobody would allow the militia to control Brega. It's like allowing someone to control Rotterdam harbour in Holland." The attacks came as rebels buried their dead from Wednesday's fighting, in which they apparently cleared Brega of government forces. BBC diplomatic correspondent Jonathan Marcus says the fighting underscores the fact that neither side seems to have the knock-out punch capable of defeating the other. Col Gaddafi appears unable to re-capture the eastern part of his country, and for now his opponents seem powerless to mount a major offensive against Tripoli. The rebels want to see UN-backed air strikes against pro-Gaddafi forces, but the West is reluctant to intervene. Jon Leyne reports from the rebel-held city of Benghazi, where people have been celebrating an end to Colonel Gaddafi's rule in the east of the country. But they're beginning to realise the fight for control of the whole country is a long way from over. Ian Pannell has been to an area of Libya's Sahara desert, now in the hands of rebels. He finds the threat that Colonel Muammar Gaddafi's forces could return ever present and the rebels' hold on their new territory precarious. 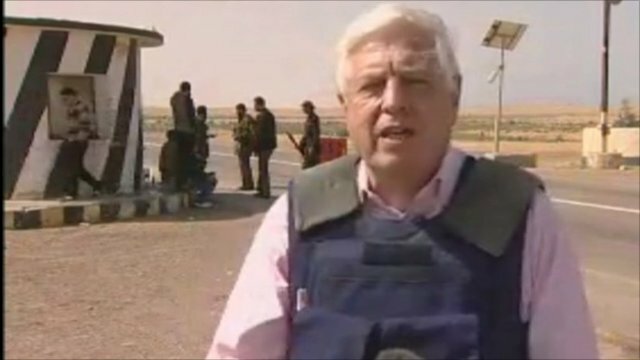 John Simpson in Aqayla in central Libya, which he says it is "not like the normal front line of a war zone". Ben Brown on the Libyan-Tunisian border, where an international effort has begun to rescue thousands of stranded people.